Recent photo of erosion-control terraces constructed by the CCC in the 1930s, above the Bonneville shoreline in North Salt Lake, Davis County. Sometimes I get a public inquiry that leads to a “Glad You Asked” article, and sometimes I see something interesting in the field and wish I would get a question about it. This time it was a case of the latter. A gentleman called and asked, “What are the lines up on the side of the mountain?” Along the Wasatch Front we have fault lines, shorelines, lines from rock layers (bedding planes), lines formed by volcanic dikes, and lines formed by other natural phenomena. The caller gave a location for the lines that was above the elevation of the Wasatch fault zone and the highest shoreline of ancient Lake Bonneville. He described sets of lines that marched up the mountainside, nearly horizontal and regularly spaced. Bedding planes, perhaps? No, these lines were not a feature of exposed bedrock but rather rocky soil. Ah ha! I had previously seen such features along the Wasatch Front and elsewhere in Utah and discovered they are not a natural feature. 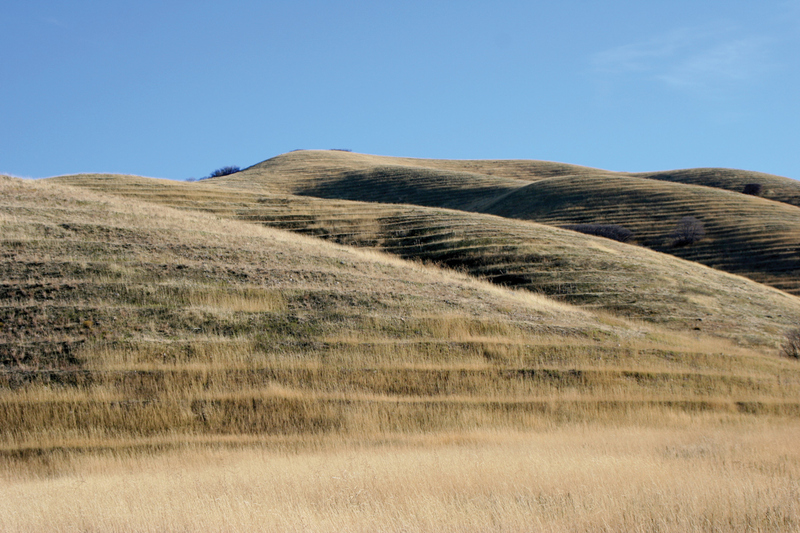 These “lines” are erosion control terraces dug by machines and men of the Civilian Conservation Corps (CCC). The Great Depression had hit Utah particularly hard. By 1932, wages for those Utahns who had not lost their jobs had declined by 45 percent. While the nation’s unemployment rate peaked in 1933 at a whopping 25 percent, Utah’s unemployment rate peaked at 36 percent, the fourth highest in the nation. The unemployed and dispossessed first turned to private charities and local governments for relief, but the demand was too great, and it was the federal government that provided the bulk of needed aid. 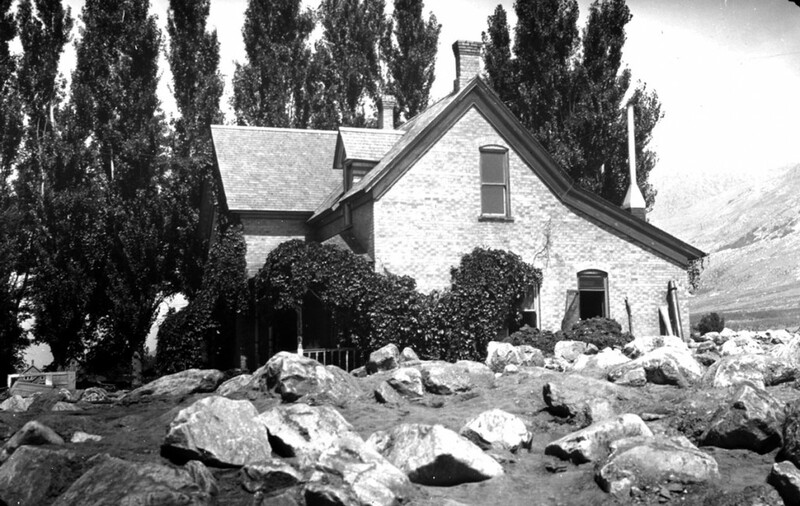 By the spring of 1933, 32 percent of Utahns were receiving government relief. During the 1930s, for every dollar Utahns sent to Washington, D.C., in taxes, Washington sent $7 back. Much of this spending was in the form of New Deal programs of the Franklin D. Roosevelt administration. The CCC was a prominent New Deal agency in Utah. 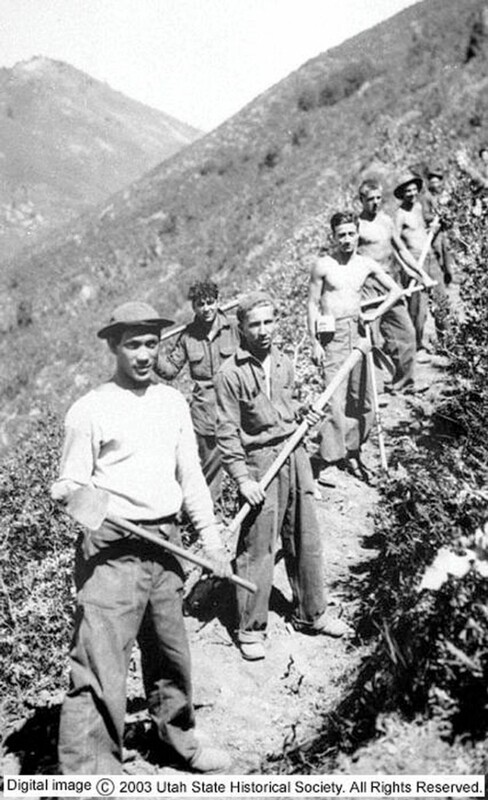 The Utah CCC worked on a wide range of conservation projects including dam and canal building, range reseeding, infrastructure improvements in national and state parks, and erosion-control projects such as the construction of the “lines” found on Wasatch Front and other Utah mountainsides. Beginning in May 1933 and lasting for over nine years, the CCC opened a total of 116 camps in Utah, with 30 to 35 operating at any given time. Across 27 of Utah’s 29 counties, 22,074 Utah men plus 23,833 men from out-of-state worked on Utah projects — large numbers, especially considering Utah’s labor force had only reached 181,244 by the 1940 census. Men of the CCC received room, board, and $30 a month, of which they could keep $5 to spend on themselves while the remaining $25 was mailed to their families (adjusted for inflation that equates to about $480, $80, and $400, respectively). Debris flows have impacted Wasatch Front cities and towns since pioneer settlement. With increased development and poor watershed management, numerous damaging episodes occurred between 1912 and 1930. 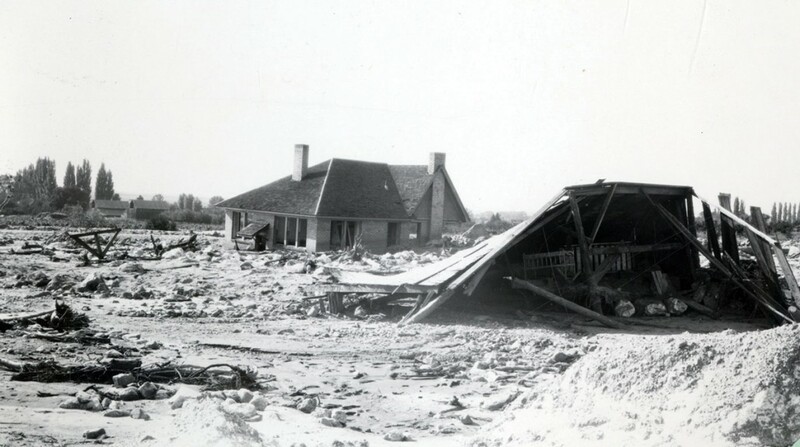 Davis County was particularly hard-hit by these disasters where multiple flood and debris-flow events in 1912, 1923, and 1930 caused major damage to houses, roads, and other infrastructure. Seven people died in the 1923 Farmington Canyon debris flow, making it one of Utah’s deadliest. All of these debris flows were triggered by intense summer thunderstorms on steep slopes denuded of vegetation by fire, overgrazing, and to a lesser extent logging. With little vegetation to promote water infiltration and hold soil and rock in place, the runoff flowed downslope, eroding soil. When this surface water flowed into gullies and stream channels its erosive power increased and scoured the channels of stored sediment, which was then transported and deposited beyond the canyon mouths, causing damage and loss of life. Although stream channels provided most of the sediment in these destructive debris flows, the process started with mountainside erosion. 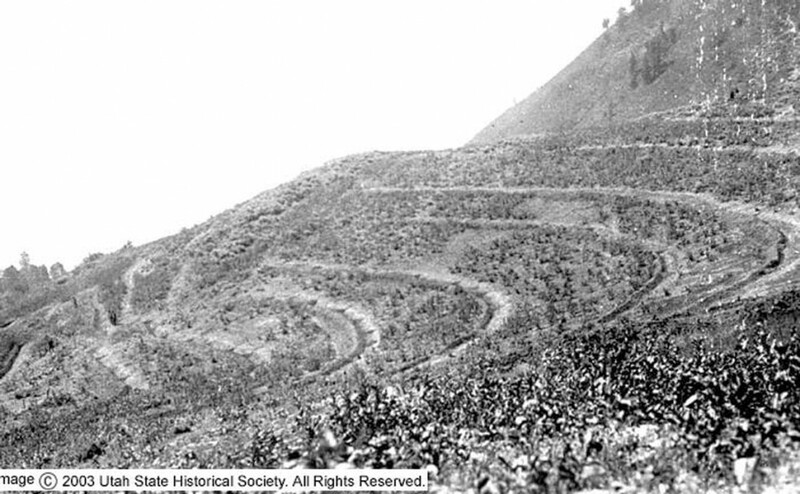 In response, the CCC was put to work on erosion-control projects that included mountainside contour terracing along the Wasatch Front and elsewhere. The terracing consisted of horizontal trenches dug across the slope such that they would catch or slow surface runoff and allow water infiltration into the soil, thereby limiting erosion. Contour terracing with reduced grazing appears to have been effective, as evidenced by the small number of debris flows between 1935 and 1982. However, in the spring of 1983 and 1984, record rainfall and rapid snowmelt saturated soil on steep mountainsides and caused small landslides that transformed into debris flows that charged down gullies and stream channels all along the Wasatch Front. Thus, reducing the risk of damaging debris flows in complex natural systems remains a challenge, even in areas with erosion-control measures.